Who are the women from Unknown Soldiers? 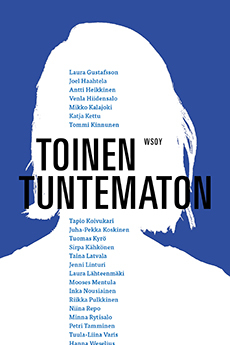 Top names in contemporary Finnish fiction imagine the untold stories of female characters from Väinö Linna’s iconic war novel Unknown Soldiers. How do those on the home front survive the grim years of WWII? What does the woman from the volunteer defence forces see in Lieutenant Lammio, and why does she give him the cold shoulder anyway? How does Vuorela’s household carry on when news of his death arrives? What does Sirkka, the recipient of Ensign Kariluoto’s amorous letters, have to say? And how does Veerushka from Petroskoi really feel about the city’s Finnish occupiers, like Hietanen, who brings bread to the children, or the giggling Vanhala and the records he plays? Where Väinö Linna’s Unknown Soldiers is an iconic work about men’s wartime ordeals and emotions, this anthology strives to explore the war experienced by women. Other characters from the front and the home front appear in the stories, but the women’s perspectives are the prime concern. The Other Unknown includes contributions from over twenty contemporary authors, including Katja Kettu, Tommi Kinnunen, Tuomas Kyrö, Sirpa Kähkönen, Riikka Pulkkinen, Minna Rytisalo and Hanna Weselius. Each writes a stand-alone short story about a female character from Unknown Soldiers. The work has been edited by Johanna Catani and Lari Mäkelä.